Live the âVibrant Urban Lifestyleâ in an upscale one bedroom one bath, corner unit condominium above a streetscape offering an outdoor cafÃ©, restaurants, hair salon, and more. 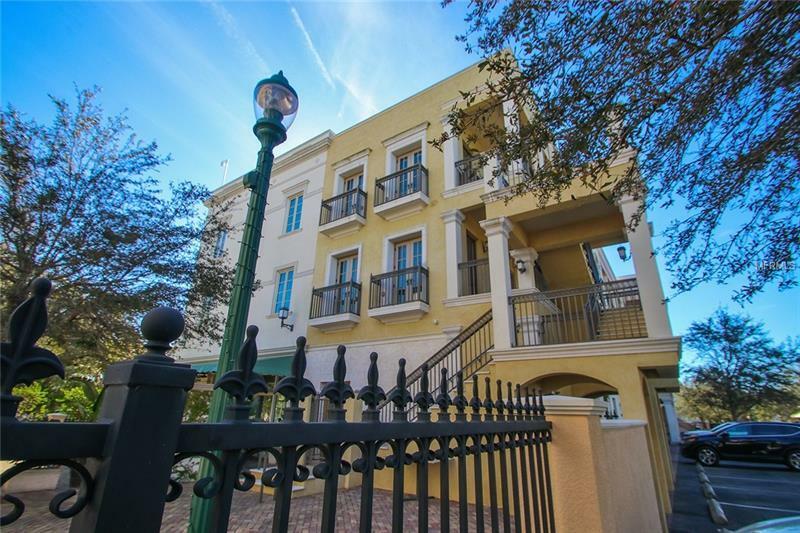 This quality condominium has designer finishes that include 10 foot ceilings, two sets of French doors leading out to Juliet balconies overlooking a plaza. Flooded with natural light and equipped with custom window treatments providing both privacy and/or shade. Lovely appointments throughout with upgraded kitchen including solid wood dovetailed cabinets, soft-close doors and drawers, walk-in pantry with built-in storage and single slab granite. Brand new range, microwave, and counter-depth refrigerator. Controlled access to assigned carport and residence provide peace of mind. Secured elevator in building. Enjoy walk-able city living; Citrus Square is only a short stroll to Main Street with restaurants, shops, farmers' market, Whole Foods, cultural activities, nightlife and even the bayfront! Short 10 minute drive to the airport or the new UTC Mall. Jonathan Parks Architecture firm was awarded âKeep Sarasota County Beautiful Awardâ for Citrus Square, among numerous other significant architectural awards. Pet Restrictions: No dangerous breeds. See Condo Docs.